HTC’s Vive VR package is now available to pre-order with the final price sitting at under $1,000. Clarification has been received from HTC regarding pricing for the HTC Vive. The price is $899USD which is charged ex-GST, hence $817.27. The GST will definitely be charged once the device hits Australia with the converted price of 1148.66AUD well over the $1,000 GST free threshold set. Once GST is added you’re looking at the much higher price of $1,418 including GST. The package is selling for $817.27 with HTC adding an additional $110 for shipping the unit to your door. HTC has advised that the complete setup, which includes the Vive headset, two controllers, the base stations which monitor your location in the room, a link box, ear buds and Vive accessories, will begin shipping on the 5th of April. The price will also include three titles for use with Vive, which includes Job Simulator, Fantastic Contraption and Tilt Brush by Google. Software on the Vive system also allows for notifications to be delivered from your phone to the headset while you’re exploring these virtual worlds and activities. To run the software you will of course need some fairly decent specs on your PC, but HTC has created a site with a tool to test your PC setup, or if you’re in the market has a list of recommended retail PC’s that they recommend to use with Vive. 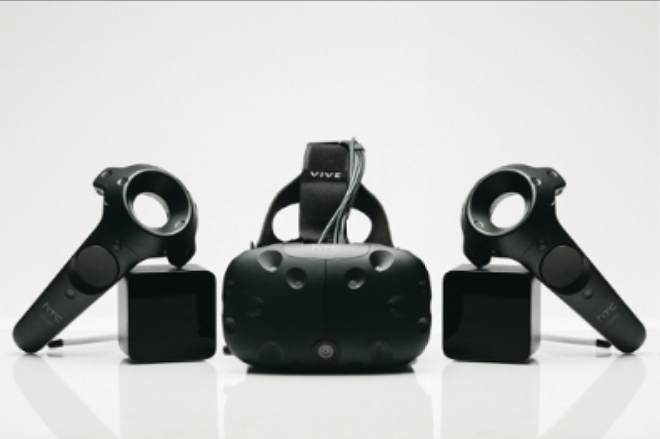 If you’re wanting to pre-order a Vive setup, head over to the HTC Vive website and place your pre-order now, shipments will begin on the 5th of April. And even at over $1,400 I still want one. It all pales compared to cost of having a room put aside to its use really … thank god for Mancaves! Definitely, I suspected it was USD, but wanted to clarify with HTC. It’s been updated now. Cheers. Its almost hilarious how HTC has structured the pricing for Australia with it being USD… its like the AUD is so volatile that a AUD price now is going to be irrelevant by May. Is this in aud or usd?